Swift Removals Is a Sydney based company build on professionalism, reliability, friendliness and amazing moving abilities. With over ten years of experience in moving homes and offices. 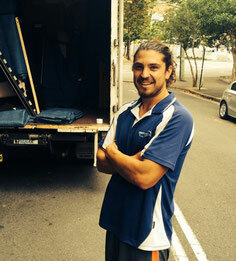 The company initially started as a two men and a truck operation in the Eastern Suburbs, meeting the local demand for a quality regulated home removals service. Swift quickly developed in to a fleet of trucks serving Sydney and surroundings, keeping the friendly and accommodating trend of your local removalist. Today Swift Removals can count on a vast number of loyal customers, ongoing collaborations with local community and real estate agencies. With multiple Bases in the Sydney area we cater for local and interstate moves. Our fully trained and courteous team will handle your propriety and possessions with the utmost care. Only the best! Swift Removals multicultural team is composed of Australians, Europeans and Americans professional movers. At Swift we only employ the best candidates for the job. All our removalist are fit, strong, English fluent and hardworking. Fully trained and experienced in the removalist industry. We also choose them for their excellent customer skills and friendliness. Even on the hardest moves or under the rain, at Swift we always work with a smile! Our guys are experts on how to minimize the time of your move. We do not like to stand around, never stop from start to finish and always work with a sense of urgency for completing the job. Our movers have mastered all the moving techniques necessary for your move to be done quick, efficiently and with care. So relax and let us take care of your net move. The Swift Removals fleet is composed by modern, fully insured and regularly maintained removalist trucks. No dodgy old vans here, only reliable vehicles specifically build for furniture removals. Equipped with 500 kg tailgate lifters, furniture pads, heavy duty trolleys/dollies, straps and tools. All we need to safely move you around Sydney or interstate.